Hawksnest Resort has been recognized for having the largest Snow Tubing Park on the East Coast since its conversion from skiing to tubing. The 20 Lane Snow Tubing Park offers four different areas to snow tube with lanes 400 to 1000 feet long. Two conveyor lifts take snow tubers back to the top for more rides. Hawksnest has 100% snow making and lighting on all lanes. With the addition of he Zip Line course at Hawksnest, you can now "fly" above ground as well as over it. The Line is the longest on the east coast with over 1.5 miles of cable riding on 10 different cables taking you through the trees, over creeks and even over snow tubers during the winter months. The Zip Line course is set in the middle of some of the best views in the High Country and offers some of the best values among east coast lines..
Cataloochee Ski Area Snow Report for Friday, December 17, 2010: On Friday, skiing will be on 100% of the mountain on 16 out of 16 slopes with two aerial lifts and one conveyor lift operating on a base of 34-80” and a machine worked surface. Three sessions of skiing are offered - day skiing from 9am – 4:30pm, twilight skiing from 1pm until 10pm and night skiing from 6pm until 10pm with an afternoon half day rate available. In addition to the regular day, twilight and night skiing schedule of Tuesday through Saturday evenings, there will be day, twilight and night skiing through January 1 everyday except Christmas Eve when skiing will be from 8:30am – 4:30pm and Christmas Day, open from 1pm until 10pm and holiday rates will be in effect everyday beginning Saturday December 18 through Sunday, January 2. Ski Packages are available NOW for Sugar Mountain Ski Resort. Among the amenities offered are: Jacuzzi, sauna, an indoor heated pool, shuffleboard, tennis court, basketball court and laundry room. Stay 3, 4 or 5 nights and ski for 2, 3, or 4 days respectively, or stay Friday, Saturday & Sunday night and ski on Saturday and Sunday. Available on weekdays and weekends. Stay 3, 4 or 5 nights and ski for 2, 3 or 4 days respectively. Mid-Season packages are available Sunday through Thursday only. Snow Report for Tuesday, December 14 at Cataloochee Ski Area in Maggie Valley NC: At 4:30pm on Monday, the temperature is 9 degrees and Cataloochee has received 9” of new natural snow in the last 24 hours. On Tuesday, skiing will be on 90% of the mountain on 14 out of 16 slopes with two aerial lifts and one conveyor lift operating on a base of 34-80” and a packed powder surface. Snow is currently being made on the two remaining trails left to open. On Tuesday three sessions of skiing will be offered, day skiing from 9am – 4:30pm, twilight skiing from 1pm until 10pm and night skiing from 6pm until 10pm with an afternoon half day rate available. Cataloochee is now on the regular operating schedule and holiday rates will begin Saturday, December 18 and continue each day through Sunday, January 2. Every non-holiday Monday through Thursday all persons renting skis or snowboards at Cataloochee receive a FREE 1 hour beginner lesson! Lesson times are at 9:30, 11:30, 1:30, 3:30, 5:30 and 7:15pm and you should plan on being at the area at least 30 minutes prior to your chosen lesson time to sign up. Beech Mountain Ski Resort on Beech Mountain NC began night skiing this weekend. The Resort has opened 7 more runs this week, bringing the current total number of open trails to twelve. Beech Mountain Ski Resort is the highest ski area in Eastern America and offers 15 trails with 10 lifts on 95 skiable acres. Facilities include two terrain parks, ice skating, snow tubing, four restaurants, two sport shops, a full rental facility and wireless internet connection. Tube World is open! Located in Maggie Valley, across from Ghost Town in the Sky and 4 miles from Cataloochee Ski Area, Tube World will be open on both Saturday and Sunday from 10am until 6pm with 1hour and 45 minute sessions available beginning at 10, 12, 2, and 4pm . Cost for tubing is $25 per session and you must be 42” tall to ride alone. There is no two person tubing allowed at Tube World. Tubing is on a first come, first served basis and some sessions do sell out. Should the session you wish to tube be sold out when you arrive, you may purchase a session for later in the day. Wee Bowl, a child’s snowplay area for kids under the 42” height requirement is open for the same session times and the cost is $5 per person. Dec 11 at Cataloochee Ski Area, Maggie Valley NC - Skiing on 70 percent of the mountain on eleven out of 16 trails with two aerial lifts and one conveyor lift operating - Advanced Upper Omigosh, Intermediate Rock Island Run, Advanced Alley Cat, Intermediate Lower Snowbird Trail, and Intermediate Lower Omigosh, serviced by the Omigosh Double Chairlift. Beginners Over Easy, Beginners Easy Way and Beginners Rabbit Hill serviced by the Easy Way Triple Chairlift, Beginner’s Luck Learning Area serviced by the Moving Carpet Conveyor lift and the Wolf Creek Hollow Teaching area on a base of 26”-80” and a machine made surface. Please note that some of our terrain features will be available for you to ride Upper Over Easy, right down from the Snack Shack, accessed by the Easy Way Triple Chairlift. On Saturday there will be one session of skiing, day skiing only from 8:30am until 4:30pm, with an afternoon half day rate also available. Midweek season passholders can ski this weekend as well. Beech Mountain Resort has opened 7 more runs, bringing the total number of open trails to twelve. Please continue to check slope conditions report for more information. 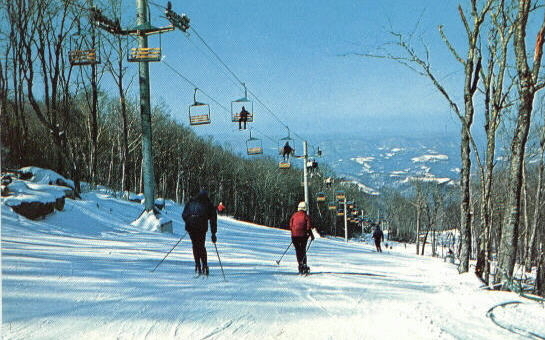 On Saturday, December 11, 2010, Beech Mountain Resort will open for night skiing. Dec 17 Appalachian Ski Mountain in Blowing Rock NC resumes its signature Fresh Fridays series. The fun series continues all season long with lots of new features being fabricated for the 10-11 season. You'll find laid back jam sessions on constantly changing, never before seen setups in the parks. Look for more themed events this season, all with tons of prizes to award standouts throughout the sessions. Best of all, it’s completely FREE to enter! Snow Report for Wednesday, December 8, 2010 from Cataloochee Ski Area in Maggie Valley NC. The time is 8:30pm on Tueday evening, the temperature is currently 8 degrees, and it was a great first day of skiing to the top of the mountain today! On Wednesday, we will be skiing on 70 percent of the mountain on eleven out of 16 trails with two aerial lifts and one conveyor lift operating - Advanced Upper Omigosh, Intermediate Rock Island Run, Advanced Alley Cat, Intermediate Lower Snowbird Trail, and Intermediate Lower Omigosh, serviced by the Omigosh Double Chairlift. Beginners Over Easy, Beginners Easy Way and Beginners Rabbit Hill serviced by the Easy Way Triple Chairlift, Beginner’s Luck Learning Area serviced by the Moving Carpet Conveyor lift and the Wolf Creek Hollow Teaching area on a base of 22”-80” and a machine made surface. Please note that some of our terrain features will be available for you to ride Upper Over Easy, right down from the Snack Shack, accessed by the Easy Way Triple Chairlift. On Wednesday, we will offer two sessions of skiing, twilight skiing from 1pm until 10pm and night skiing from 6pm until 10pm with an afternoon half day rate also available. Please remember we are now on our early season operating schedule of 1pm until 10pm Monday through Friday and 8:30am – 4:30pm on Saturdays and Sundays and that midweek season passholders can ski everyday even on the weekends through December 17. Also, don’t forget every non-holiday Monday through Thursday all persons renting skis or snowboards at Cataloochee receive a FREE 1 ? hour beginner lesson! Lesson times this week are offered at 1:30, 3:30, 5:30 and 7pm and you should plan on being at the area at least 30 minutes prior to your chosen lesson time to sign up. Tube World located in Maggie Valley, across from Ghost Town in the Sky, four miles from the ski area will reopen on Saturday, December 11 at 10am. A new system of automated snow guns will have a major impact on snowmaking capacity this winter at Beech Mountain Resort. The automated "PoleCat System" is able to produce copious amounts of snow. The guns added last year were the highlights of the Resort's snowmaking, now uping the system 300% by installing six more. The nice thing is this system is self-monitoring and constantly controls the output, significantly increasing snowmaking capability. Last season's snowmaking upgrades paid big dividends on the Robbins Run and Upper Shawneehaw trails. This year, the resort set its sights on the long, black diamond White Lightning run, along with the Lower Shawneehaw trail, Powder Bowl and Freestyle trail. The Resort believes it is almost 100% better than three or four years ago because of the new automated system, plus we still have PoleCats that operate on carriages," said Costin. The 40 JCI tower guns added the past couple years, dozens of Ratnik guns and the significant money invested in snowmaking over the last 36 months is paying off in the finished product. Also receiving improvemnets was the alpine village at the base of the slopes. Three outside businesses moved in to lease a trio of storefronts. Skiers can now take advantage of a new equipment rental operation, coffee café and souvenir photo shop. New lockers were installed in the locker rooms, a third lane was built on the snow-tubing run and a shipment of ski/snowboard equipment was added to the rental fleet. Sugar Mountain's annual season kickoff "Sugarfest" takes place this year on December 11th and 12th. Snow and lots of fun are the prediction. Watch 1992 Olympic Figure Skating Silver Medalist, Paul Wylie dazzle onlookers with his amazing talent. The performance will be followed by an on ice skating clinic and a meet and greet session Sunday at 3 PM. No fee is required to watch Paul's inspiring on-ice performance. Festivities include consumer equipment demos, a snowball eating contest, ice sculpting, live North Carolina bluegrass music by Boss Hawg, fireworks, Preseason Adult Ski Clinic featuring Olympians Diann Roffe, Krista Schmidinger and 2010 US National Sugar G Champion Keely Kelleher as guest coaches, rail jam, appearances by Sweetie and Sugar Bear, lodging specials, and more. Dec 5 Snow and Slope report for Cataloochee Ski Area, Maggie Valley NC: Depth of Base: 12-80with a machine-worked surface, 10 trails and 4 lifts open fir day skiing from 8:30 AM - 4:30 PM. Some natural snowfall has occurred through the night. Today is the 9th Annual Can- U-Ski Food and Coat Drive. In conjunction with Haywood Christian Ministries, Cataloochee Ski Area seeks to help with this year’s increased need for food and warm winter coats for special families throughout our region. We ask all Cataloochee skiers and snowboarders to bring at least 10 cans of food or a winter jacket of any size that is in good condition to the ski area and you will receive your lift ticket on that Sunday for FREE! Skiing will be from 8:30am – until 4:30pm and rentals and lessons are not included. It’s a $56 value! Trails open: Intermediate Rock Island Run, Advanced Alley Cat, Intermediate Lower Snowbird Trail, and Intermediate Lower Omigosh, serviced by the Rock Island Run Quad Chairlift, Beginners Over Easy, Beginners Easy Way and Beginners Rabbit Hill serviced by the Easy Way Triple Chairlift, Beginner’s Luck Learning Area serviced by the Moving Carpet Conveyor lift and the Wolf Creek Hollow Teaching area serviced by the Moving Carpet Conveyor lift on a base of 12”-80” and a machine made surface. Please note that some of the terrain features will be available for you to ride Upper Over Easy, right down from the Snack Shack, accessed by the Easy Way Triple Chairlift. Early season operating schedule is now in effect - skiing 1 PM until 10 PM Monday through Friday and 8:30am – 4:30pm on Saturdays and Sundays and that midweek season passholders can ski everyday even on the weekends through December 17. NC Skiing and Tubing Open this Weekend - Hit the Slopes! Snowfall this weekend! The following Ski Resorts, Ski Areas and Tubing Parks will be open this weekend. Check the individual sites for conditions and hours. 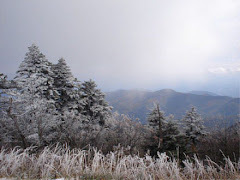 Cataloochee Ski Area, Located in Maggie Valley NC, is North Carolina's First Ski Area and in recent years the first NC Ski Area to open for the season. Catalochee offers Smoky Mountain Skiing, Riding and Tubing with 16 lighted slopes including the Cat Cage Terrain Park. With a variety of terrain for beginners to experts alike and over 4,000 sets of snowsports equipment, the Cataloochee experience offers something for everyone. TUBE WORLD is a 5 run snow tube park in Maggie Valley NC popular with locals and visitors alike. Sit back and enjoy the moving carpet lift to the top and then get ready for the slide of your life. Sugar Mountain Ski Resort is in the Village of Sugar Mountain, Banner Elk NC and offers 20 slopes and trails spread over 115 skiable acres providing all levels of skiing and snowboarding. Snow tube on the 700 ft tubing runs with their own lifts, snowmaking and lights for night tubing or ice skate on a 10,000 square foot refrigerated outdoor ice skating rink. Appalachian Ski Mountain - After 48 hours of round-the-clock snowmaking, Friday, December 3rd will be the first day of the 2010-11 season. There will be six slopes open on Friday, including the Appaljack Terrain Park, two conveyor lifts, and three chairlifts. For the comfort of our guests, most snowmaking will not take place on open slopes during the day on Friday. The first 100 skiers / snowboarders will receive free tickets on our Opening Day, Friday, December 3rd. Wolf Ridge Ski Resort - It's Friday and the Wolf is open today from 9:am until 10:00 pm. We will be open Saturday 9:am -10:pm and Sunday 9:am-4:30: We will Close Monday the 6th thru Wednesday the 8th to get an incredible snow base on the mountain while the low temperatures allow. We will re-open on Thursday the 9th at 9:am and be wide open for the season.Two Ski Lodges offer ski/snow board/bibs/helmet/locker rentals, full food service, gift/sport shops and fireside dining and relaxing. Slope side cabin and vacation rentals are available. There is something for everyone from beginner to expert at this family-oriented resort. Hawksnest Snowtubing Opening on Saturday. We will be open on Saturday, December 4 for snowtubing. This will kick off our 2010/2011 winter season. We are making snow around the clock and conditions should be good for snowtubing this weekend. Update from Hawksnest Snow Tube Park and Zipline Tours: Nov 30 at 10 AM - We will be open for snowtubing and zipline tours this weekend. This will be our first weekend of snowtubing for the 2010/2011 winter season and we are very excited about the start of the winter season. We will be open on Saturday, December 4 and Sunday, December 5. On Saturday our sessions will be 10am, 12pm, 2pm and 4pm. On Sunday our sessions will be 10am, 12pm and 2pm. Cost for both days will be $32 per person per session.